We cater to a diverse array of living spaces, including dining, living, kitchen, bath, bedroom, home office, mudroom/laundry, in addition to total-home renovation & construction consultation. 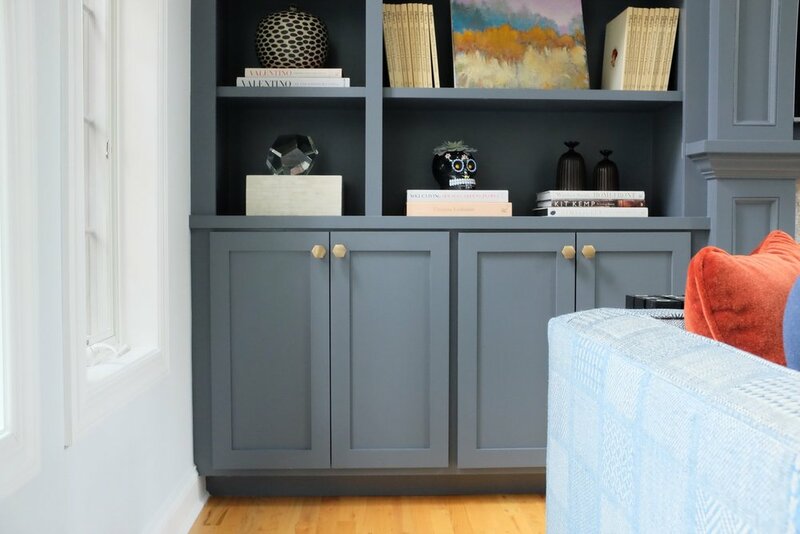 For each space, we use a variety of to-the-design-trade-only furniture, lighting, wallpaper and fabric resources to make your abode comfortable, functional and one-of-a-kind. And, with the help of both 2-D and 3-D Computer-Aided Design and Modeling programs, we can show you what your space is going to look like (many of our projects require the use of floor plans, elevations, and 3D drawings to determine the best use of space). This allows us to utilize your space in the most efficient manner. Whether you need help designing your family room, sitting room, or living room, we work hard to find the perfect pieces that provide you with the most function and simultaneously create a stylish living space. This includes finding the right sectional, sofa, side chairs, tables, lamps, art, accessories, window treatments, paint and/or wallpaper. When it comes to dining rooms, determining what will fit in your space and what size table will allow for your preferred number of seats can be a tricky task. That is why we often use 3D modeling & floor plan software to ensure that our choices will fit your space and allow for circulation around your dining table. There is no greater mistake than a too-large or too-small table, especially when trying to impress your family & friends at the holidays. Using built-in cabinetry and shelving elevates & enriches a space, while also providing much needed storage that can be both hidden and exposed. We can help clients determine the layout, hardware, and color of built-ins that will best complement their particular space. Last, we help accessorize open shelving with books, decorative boxes & objects. We help clients determine the right color & style of cabinets, counter-tops, tile or stone back-splash, as well as hardware (knobs & pulls) and fixtures (faucets, sinks, dispensers) for their kitchens, butler’s pantries, bar areas, and bathrooms. Moreover, we have a variety of trusted vendors who supply products we have used in our designs for years. We coordinate quantities, purchasing, shipping, and installation with contractors to make the process easy for consumers.